I've been dabbling with the new Electricomics Generator, a product still very much in its infancy, and thought it worthy of a 'How To' post so that other comic creators can get involved with this interesting project. 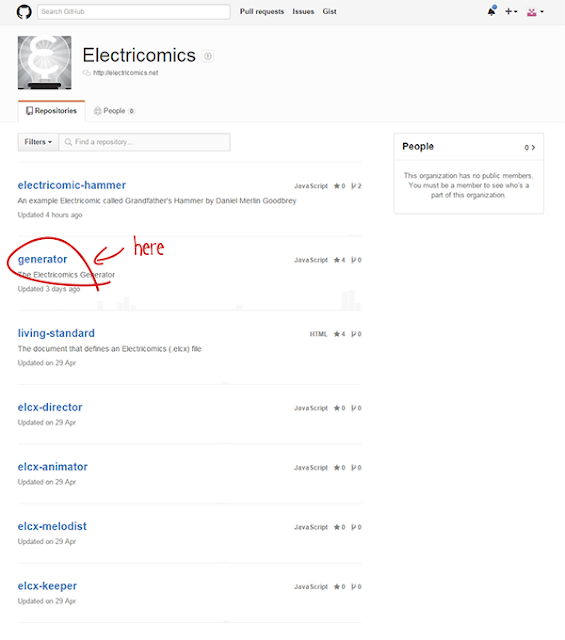 I'm going to waffle on for a bit so if you're just after instructions, you can head straight to the Electricomics Guide. There's no doubt the comic book industry has changed dramatically over the last few years. Digital comics have proved themselves to be hugely popular, complementing rather than cannibalising traditional print comic book sales, as the industry as a whole enjoys a resurgence in popularity. The indie comics scene is also seeing an explosion of comic creators. It's a great time to be making comics as new digital opportunities mean creators can bypass printing cost, publishing directly to the web for an always hungry audience. 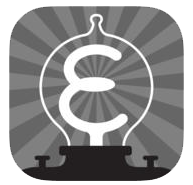 The latest avenue for self-made digital comics appears in the form of the all new Electricomics app. Initially launched at the start of September, and containing stories from the likes of Garth Ennis and Alan Moore, this experimental digital app, financed via a Digital R&D Fund for the Arts, was set up to explore the iPad's impact on digital comics and storytelling. 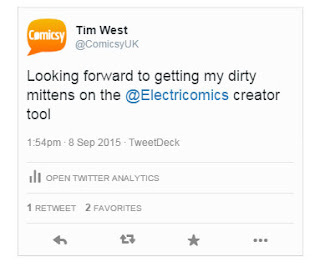 Electricomics was first announced in May last year. I'm always interested in anything relating to comics and new technology, so this venture got my comic receptors twitching with excitement. The Electricomics team made an appearance at Thought Bubble in November of last year to drum up interest in the project. I attended a panel they put on and spoke to some of the team members at their table. If someone was doing something interesting in digital comics in the UK. I wanted to know about it. Sadly, they didn't really have much to show at the time but it was interesting to hear what they had to say on the subject and learn a bit more about the project. Several months later and the app itself has just been launched. It includes four stories, each one using a different navigational technique native to the iPad. Check it out for yourself. Luckily, the app creators Ocasta took my little jibe in the good spirits it was intended. However, I feel I must come good on the conversation, so I hope this little guide below will be of some use to others. I've also include the link to the story I've made using the generator at the bottom of the page. Last week, the open source code behind Electricomics was made available via Github. To the uninitiated, Github is a collaborative network for code nerds to work together, refining and improving software as a team. Respect to the nerds. If you've never used Github before you might struggle to understand how to download and start using the Electricomics Generator. Here is a guide for those who need a little help. 2) As we want to make an Electricomic, we're going to need the Electricomic Generator. Click on the 'generator' link. 3) We're now on the Generator main page. Click the 'releases' tab near the top. 4) Choose one of the available options depending upon your computer. 7) You should now have a folder with all the files you need somewhere on your computer. Go to the folder. Go! 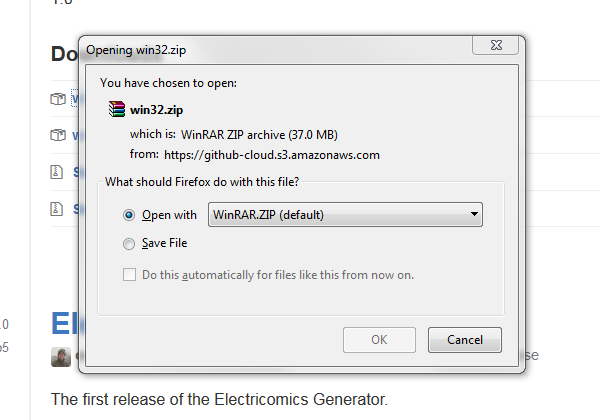 8) Inside the folder is a file called 'Electricomics Generator' click on that to open up the program. 9) You'll be faced with a window that looks like this. This is the canvas on which you will make your Electricomic. Give yourself a pat on the back. You're doing great so far. 10) First off, you'll need to start a New Project. 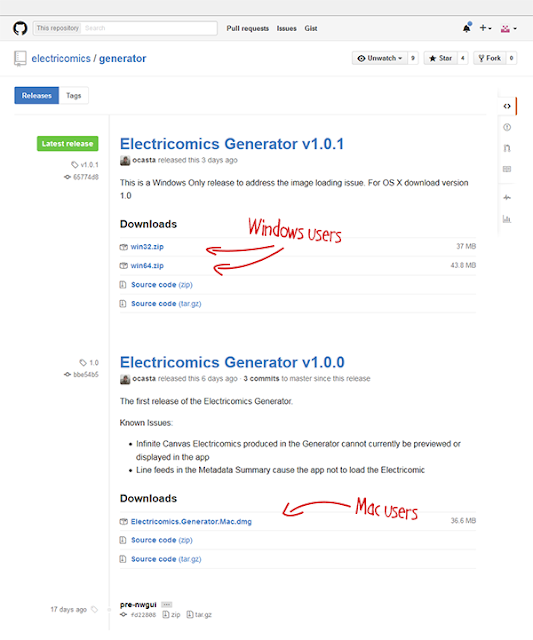 Each Electricomic you make requires a separate folder in which all the relevant files for that project are stored. Click 'New Project' that in the top left corner of the application. 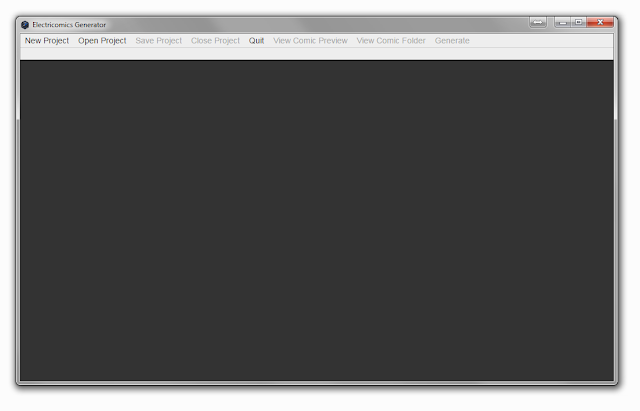 A new window will appear asking you browse somewhere and name your project folder. 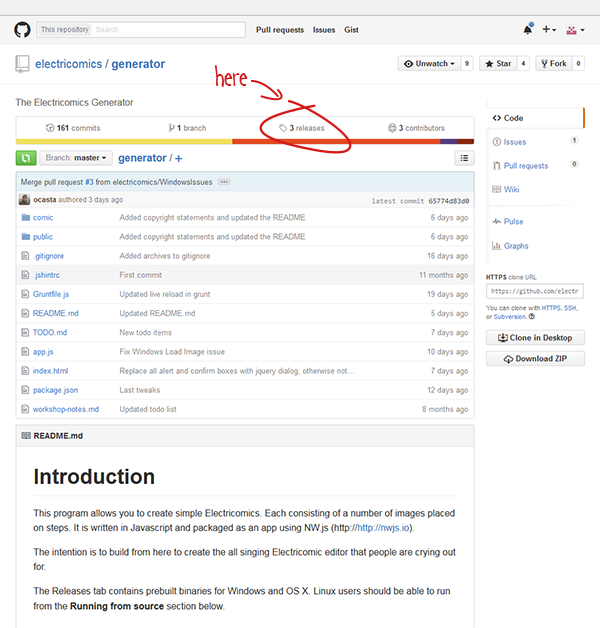 For simplicity, just choose the folder you unzipped in to earlier and name the project as electricomic. 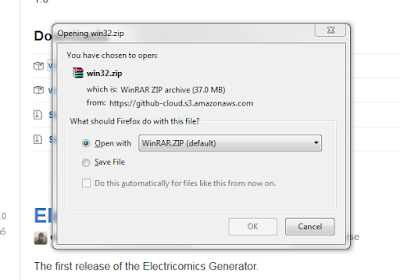 The application will then self-generate a new folder, which includes all the files you need for your new project. In our case the folder will be named electricomic.elcxproject. You can change the name of the folder if you want but you must include the .elcxproject on the end of the folder's name. The app does not like any spaces in the folder name either so leave them out. 11) Now you simply click 'Open Project' from the main menu in the Electricomics Generator and select the folder you've just made. 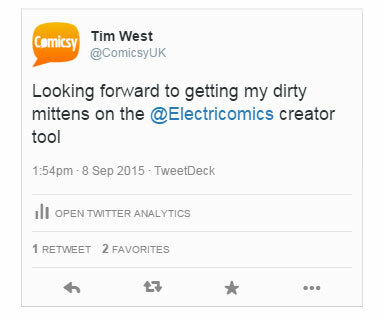 Congrats you're ready to make an Electricomic. The guys at Ocasta have done a great job with this application. 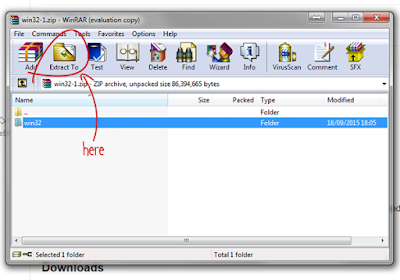 From here on in, it's pretty straight forward how to use the program...however, that's covered in part 2 of the guide.